These overall shorts were designed to fit the Cuddle Me Puppy. same hook size you used to make your puppy or go up a size. I used a 4.5mm hook to make the overalls pictured and a 4.25mm hook to make the puppy. I crochet fairly on the tight side and the overalls fit perfectly. 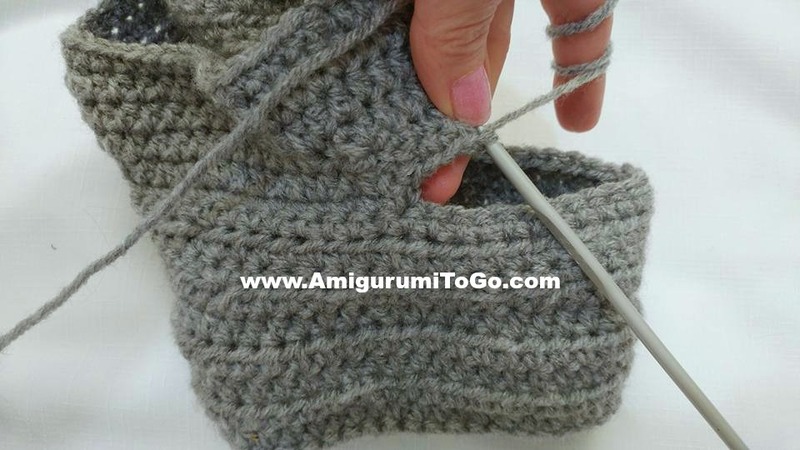 If you crochet on the loose side than use the same hook you made your puppy with. Each row has a sequence as given below. Example: 1sc then 2sc in next st means repeat that sequence 1sc then 2sc in next st followed by 1sc then 2sc in next st over and over to the end of that particular row, unless otherwise instructed. 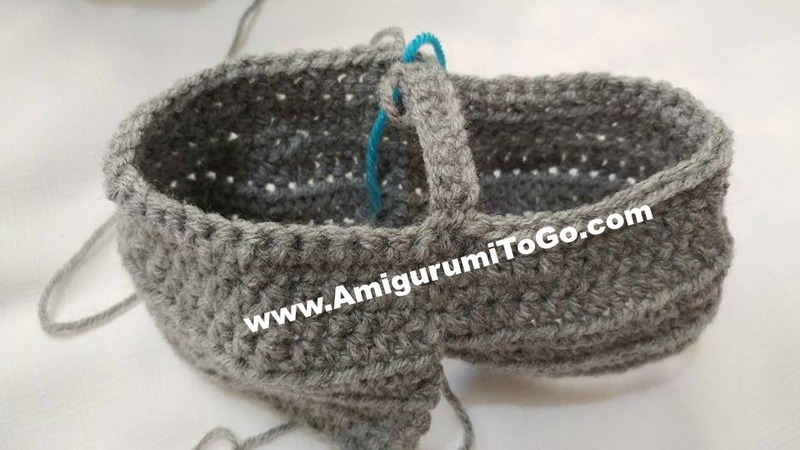 The number inside the parentheses ( ~ ) is the number of stitches you should have at the end of that particular row. 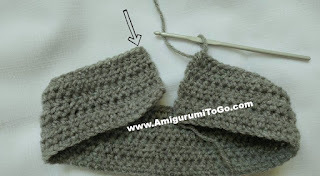 1) ch 40 *make a long starting yarn tail that you can use to sew one end to the front panel. Assemble the panel and straps. You can do them how you prefer, I sewed the 2 front side ends on the outside of the panel as pictured. 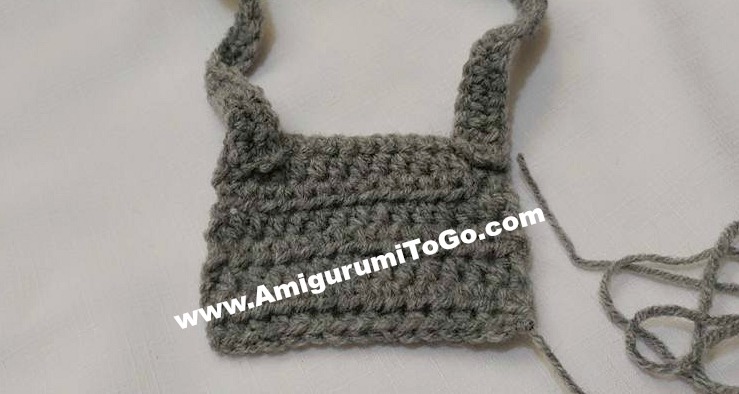 The straps are extra long so don't worry about sewing too much in the front. 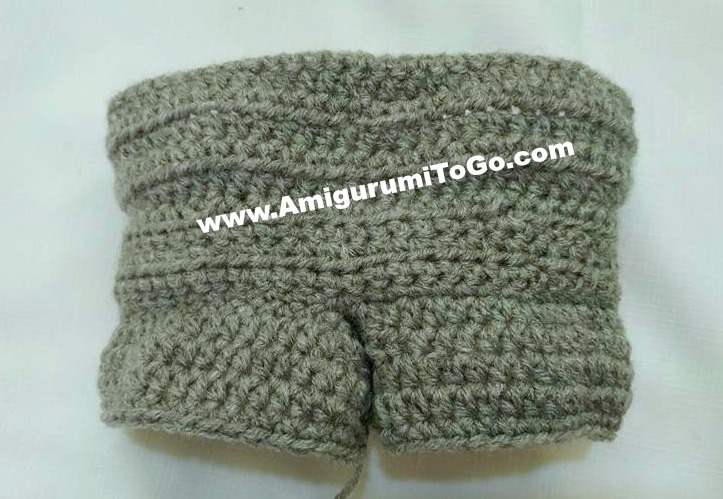 I overlapped mine about 1/2 inch or so Once the shorts are made then you can sew on the other ends. 1) ch 66 *begin with a long starting yarn tail, you will use this to sew the corners together later. 3-7) skip ch, 1hdc in each st for 5 rows *ch2 and turn at the end of each row and skip ch at the start of each row. 12) ch10 and sl st into the 30th st from the front of the ch. 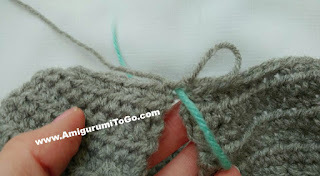 Mark this stitch, this will be the last stitch of the row. Continue to move marker each time you end a row. 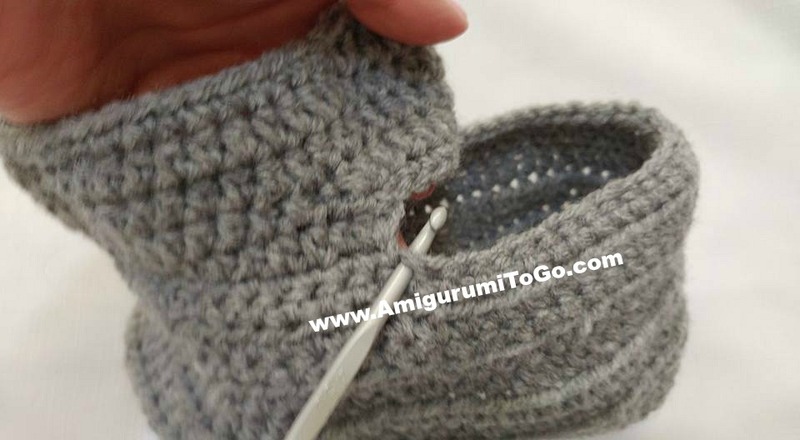 *if your last stitch lands in the front of the pants then continue on for a few stitches with single crochets to the inside of the pant leg. That way you will not see where the legs were f/o. sl st next st and f/o weave in yarn tail. *** Flip the piece right side out before starting the 2nd pant leg. 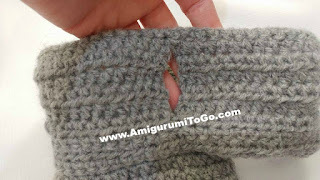 Sew the corners together in the back, this makes the hole for the puppy tail. Weave in yarn tail to hide it. 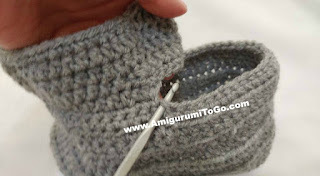 *remember ~ if your last stitch lands in the front of the pants then sc to the inside of the pant leg so you will not see where the legs were f/o. sl st next st and f/o weave in yarn tail. And you're done. I hope you enjoyed this pattern. If you'd like to show off your puppy and overalls you can post pictures on my facebook page, Amigurumi Freely, I'd love to see! Is there a pattern yet for the yellow shirt and red shorts for the Cuddle Me Puppy? I haven't seen one, but may be missing it. Yes, is there a posting for the pattern for the yellow shirt and red shorts? I'm having trouble with shorts: step 8.skip ch, 1hdc in next 11 st then 2hdctog (60). It doesn't say to repeat... what am I not understanding? Thanks! Do you have the pattern for the yellow t-shirt and red shorts? Thanks!